Why Use a Mortgage Broker or Mortgage Agent? 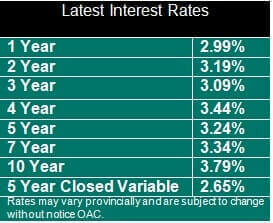 You will have access the Best Interest Rates - Better than those posted to the public! Because Mortage Brokers and Mortgage Agents send lenders such a high volume of business, huge discounts are offered to those Agents in order to attract business. These savings are passed on to you, saving you thousands of dollars! The Mortgage market in London Ontario and area is extremely competitive. Having access to multiple lenders, who compete for your business, enables Mortgage Brokers and Mortgage Agents to work the lenders against eachother in order to get you the best interest rates! I have access to over 67+ Lenders - Residential, Commerical, and Private Mortgage Lenders! When you contact me you are gaining access to a multitude of Banks, Credit Unions and Trust Companies. It is my job to connect you with the best fit given your needs, saving you the time of shopping around! Although Mortgage Brokers and Mortgage Agents have access to a multitude of Mortgage Lendres there is no need to run multiple credit checks. Once I pull your Credit Bureau I can shop the application around to as many lenders as needed in order to get you the lowest interest rate, and your credit is only checked one time! I work around Your Schedule! I do not charge for my services. * Due to the high volume of clientele retained by Mortgage Agents, lending institutions compensate the Mortgage Agent directly, with the client never seeing a bill!